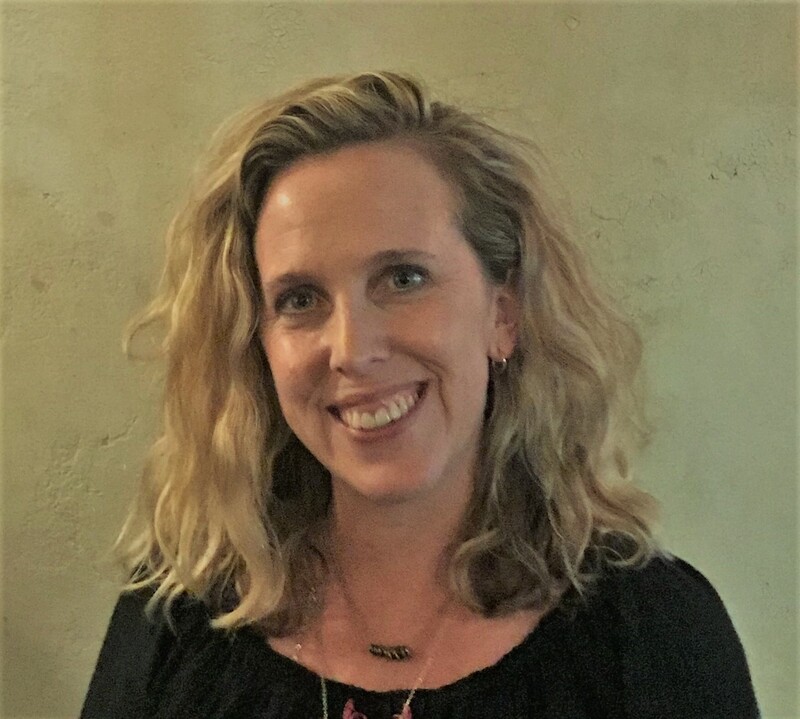 Amanda Hollinger, a nonprofit consultant living in Charleston, SC, became Interim Director of the Head and Neck Cancer Alliance in May 2018. For 20 years, Amanda has worked in the nonprofit and public sector, leading teams, building partnerships, raising funds, and implementing strategic plans. She previously served as Director of Sponsored Projects at Trident Technical College where she led the development of grant proposals resulting in over $20 million; as Executive Director of the YWCA of Greater Charleston, and as Project Manager for HNCA in 2008. Amanda received her Bachelor’s degree in English from Guilford College and her Master’s degree in Public Policy from the Humphrey School of Public Affairs at the University of Minnesota. She is active in various community organizations and in her free time, she enjoys cooking, running, creative writing, reading, traveling and spending time with family. Head and neck cancer has impacted the lives of family members close to her, and Amanda is committed to helping HNCA fulfill its vision of saving lives through prevention, education, and advocacy. 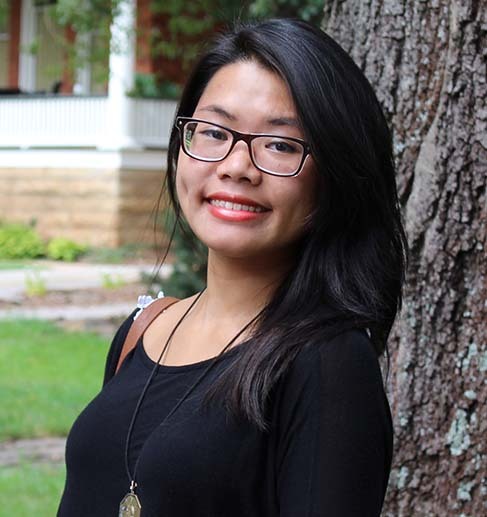 Dalena Huynh rejoined the Head and Neck Cancer Alliance team in July 2018 as a Marketing Associate. She previously worked for HNCA as the Graphic Design and Website Coordinator for approximately two years. A month prior to joining HNCA in June 2016, Dalena received her Bachelor’s Degree in Biology and minor in Studio Art from the College of Charleston. During her time while receiving her education at the College of Charleston, Dalena was an active advocate for diversity, volunteered in her community, including at the Medical University of South Carolina (MUSC), and interned at immunotherapy treatment focused for cancer research laboratory at MUSC. Cancer has always had a profound impact on Dalena’s life from the time both her parents, sister and grandmother were diagnosed with cancer to the time her father passing away from cancer in 2010 and recently, her grandmother passing away from cancer in March 2018. With her experience of loss and as a primary caregiver, she has a strong dedication to support and advocate for the head and neck cancer community. 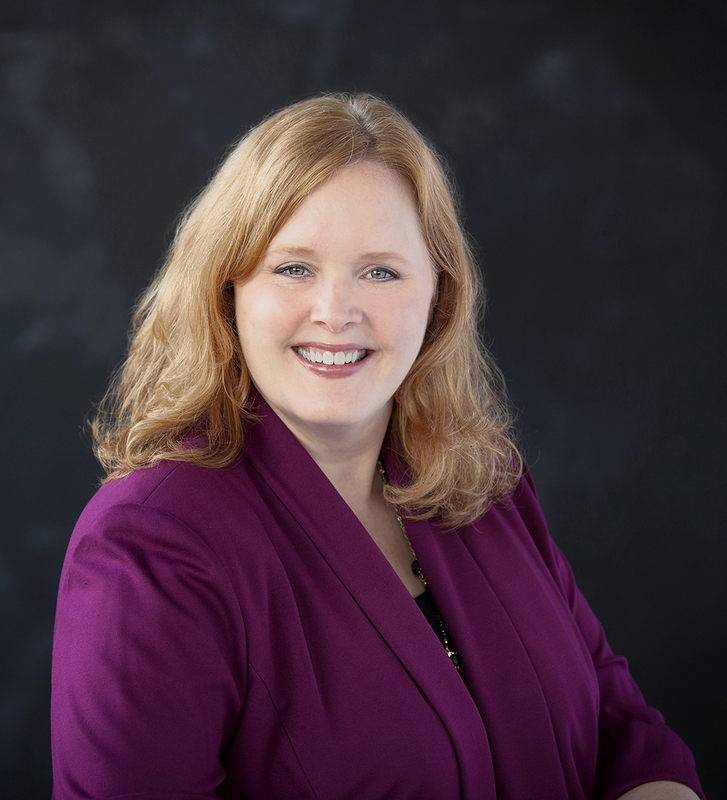 Elizabeth has spent the majority of her career in the non-profit and public sectors, where her roles have focused on marketing communications, development communications, events, and public relations. She has a bachelor’s degree in Communication from John Carroll University and a master’s degree in Applied Communication Theory and Methodology from Cleveland State University. Her educational background also includes graduate-level studies in marketing, graphic design coursework, and formal training in grant writing and development. She lives in Cleveland, Ohio, with her husband and two sons. Like most people, Elizabeth’s family has been touched by cancer, including tongue cancer. She believes wholeheartedly in the mission of HNCA and is dedicated to helping the organization grow, promoting awareness and early detection of oral, head and neck cancers, and helping HNCA’s constituents navigate life with–and after–cancer. Eileen Sexton has rejoined HNCA as Vice President of Programs. In her new role, she directly oversees the organization’s Gas Card Program, Ambassador & Patient Network Program, and the Oral, Head and Neck Cancer Awareness Week (OHANCAW). Eileen previously served as HNCA’s Vice President of Communications and Programs for more than two years. During that time, she revised and updated the OHANCAW online screening site’s registration process, enhanced and revitalized HNCA’s website (www.headandneck.org), re-instituted the quarterly e-newsletter and significantly increased HNCA’s Facebook and Twitter followers. She has spent the majority of her three-decade career working in non-profit management, guiding communications and marketing teams. She served as the Vice President of Communications for many national/international organizations, including Mental Health America, Special Olympics International and Food Allergy and Anaphylaxis Network, to name a few. Eileen has an unwavering commitment to serve head and neck patients, survivors, and their caregivers, along with all cancer patients and survivors. She truly believes in early detection, which has saved many of her beloved family members and dearest friends. She is an avid reader and gardener, loves following the news and continues to enjoy running, bicycling and swimming in her spare time. Dr. Day received his medical degree from the University of Oklahoma. He completed his residency at Louisiana State University before pursuing a fellowship in head and neck oncologic surgery at the University of California, Davis and in craniomaxillofacial surgery at Inselspital-Bern in Bern, Switzerland. Following fellowship, he joined the faculty in the Department of Otolaryngology-Head and Neck Surgery at Vanderbilt University Medical Center in Nashville, Tennessee and is now Professor, Vice Chair and Director of the Division of Head and Neck Oncologic Surgery in the Department of Otolaryngology-Head and Neck Surgery at the Medical University of South Carolina in Charleston, USA. He also serves as Director of the Head and Neck Tumor Center at MUSC and has a joint appointment in the Department of Craniofacial Biology, Department of Stomatology and College of Graduate Studies. Dr. Day served as President of the American Head and Neck Society and Council of the International Academy of Oral Oncology while having completed a four year term on the Board of Directors of the American Academy of Otolaryngology-Head and Neck Surgery. He has participated as a Senior Examiner with the American Board of Otolaryngology. He has served on the National Cancer Institute’s Head and Neck Steering Committee, Head and Neck Surgical Subcommittee for RTOG and Head and Neck Working Group for the American College of Surgeons Oncology Group. Dr. Day volunteers his time as President of the Head and Neck Cancer Alliance, Inc. and in 1998 started the inaugural international Oral, Head and Neck Cancer Awareness Week® (OHANCAW®) in 1998. Since completion of his fellowship, Dr. Day has limited his clinical practice to patients with tumors of the head and neck region, including robotic surgery, oropharyngeal, skull base, thyroid, skin cancer and salivary gland tumors. He also is active in research in molecular diagnostics and therapeutics in head and neck cancer. Dr. Moore is an Associate Professor of Otolaryngology-Head and Neck Surgery and Chief of Head and Neck Surgery at UC Davis in Sacramento, California. He will return as an Associate Professor of Otolaryngology-Head and Neck Surgery and Chief of Head and Neck Surgery at Indiana University School of Medicine in Indianapolis, Indiana in December. His clinical practice focuses on head and neck cancer and reconstructive surgery, as well as skull base surgery. Dr. Moore has been working with other members of the HNCA and physicians around the United States to promote early detection and prevention of head and neck cancer. He also is involved in National awareness initiatives regarding the link between HPV and throat cancer and the importance of HPV vaccination. Retired executive of 38 years with United Parcel Service. Jerry began his career with UPS in Philadelphia in 1976. While completing his undergraduate degree in Accounting and Management at LaSalle University in Philadelphia, he worked part time in UPS Operations. While working in numerous UPS management positions, Jerry completed his MBA at LaSalle. In 1985 he was named Controller in the Arkansas district and in 1987 was promoted to New York City in the same capacity. After assignments in Corporate Finance, Long Range Strategic Planning and Strategic Cost, Jerry was named as CFO of UPS Airlines in 1996. 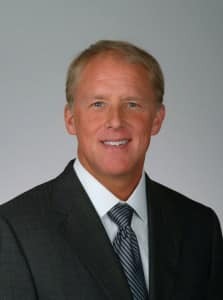 In 1999, Jerry was named Vice President of Marketing responsible for New Product Development, Marketing Technologies and Marketing Strategies at the UPS Global Corporate Office. In 2000, Jerry completed an Advanced Management Program at the University of Pennsylvania, Wharton School of Business. In 2004, Jerry accepted the assignment as Vice President of International Trade Services at UPS Supply Chain Solutions. His responsibilities include oversight of the company’s customs brokerage operations and UPS Trade Management Services in over 100 countries around the world. In 2007, Jerry was named to the position of Vice President of Corporate Strategy. In this position he was responsible for the Global Growth and international expansion strategy for UPS. In 2014 Jerry retired from UPS after over 38 years of service. 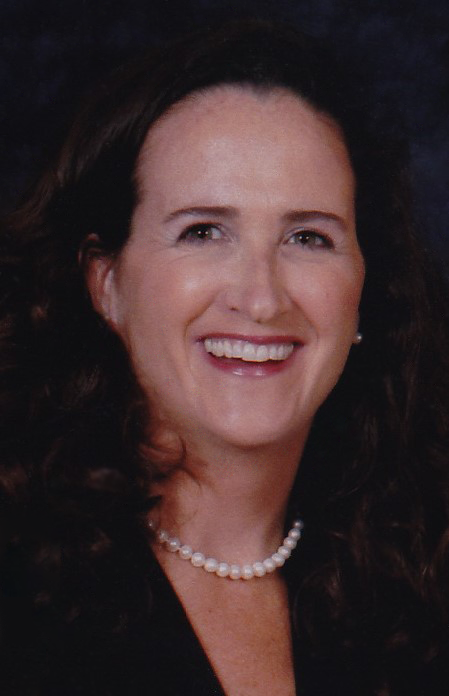 Meryl Kaufman, is the founder of Georgia Speech and Swallowing, LLC, formerly of the Emory University Department of Otolaryngology Head and Neck Surgery (2007-2017), is a licensed Speech Language Pathologist and Board Recognized Swallowing Specialist with specialization in head and neck cancer rehabilitation. Ms. Kaufman received her undergraduate and graduate training at the University of Georgia. 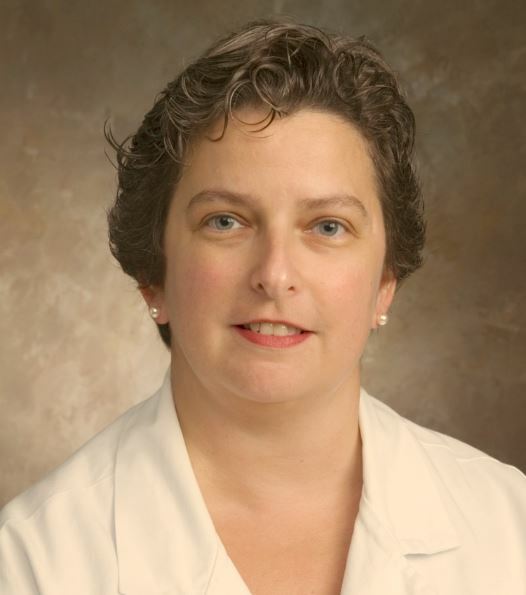 Prior to joining the Emory team in 2007, Ms. Kaufman was employed in the departments of Otolaryngology at the Medical College of Georgia, the Medical University of South Carolina, and the University of Alabama-Birmingham. In addition, Ms. Kaufman was an adjunct professor in the College of Health Professions at the Medical University of South Carolina and a Clinical Supervisor at Georgia State University. She has instructed multiple graduate level speech pathology courses on the subjects of Dysphagia, Voice Disorders, and Head and Neck Cancer. Additionally, Ms. Kaufman was the president of the GA chapter of the Head and Neck Cancer Alliance (formerly Yul Brynner Foundation) from 2006-2009 and was the interim director of the national organization until the permanent board was appointed in 2010. Ms. Kaufman joined the Emory University Department of Otolaryngology Head and Neck Surgery in 2007 with primary interests in post laryngectomy voice restoration and prevention and management of dysphagia following treatment for head and neck cancer. She is also actively engaged in advocacy efforts to improve reimbursement for laryngectomy supplies for successful post laryngectomy rehabilitation. She has trained numerous students and fellows in her areas of expertise and has presented several local, state, and national presentations on head and neck cancer rehabilitation. Ms. Kaufman lives in Dunwoody, Georgia with her husband and three children. 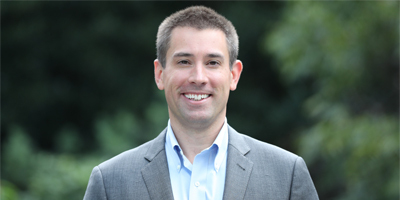 Jason Mendelsohn is co-founder and President of Ashar Group, LLC, a privately held, nationally licensed firm specializing in the secondary market for life insurance. His firm is considered experts in both life insurance policy valuations and life settlements. Jason is regularly invited to be a speaker and lead discussions at national and regional events pertaining to the Secondary Market. Jason is proud to serve as a member of the AALU (Association for Advanced Life Underwriting) and is active in the industry as an advocate for senior care. Jason is both life and securities licensed. Jason is also a stage 4 HPV-related oral cancer survivor and serves as the co-chair for the Patient Education Committee for the Head and Neck Cancer Alliance. Jason was first diagnosed back in May 2014 and shortly thereafter had a radical tonsillectomy, neck dissection (42 lymph nodes removed from his neck) followed by seven weeks of chemo, radiation and a feeding tube. Jason made the decision to share his cancer story publicly so that others could learn about HPV-related oral cancer, oral cancer screenings, including the HPV vaccine. He also created a website, www.SupermanHPV.com which launched on September 1, 2017. Jason created the site to inspire, educate and encourage others diagnosed with HPV-related oral cancer. Jason is passionate about oral cancer awareness, and hopes to eliminate HPV-related oral cancer for future generations. When Jason was first diagnosed, he made videos to his kids that went something like this, “One day you are going to get married, I am not going to be there, this is what is the most important.” He is fueled to educate parents about the HPV vaccine and about oral cancer screenings so that one day no parent will ever have to make a video similar to the one he made for his kids back in 2014. 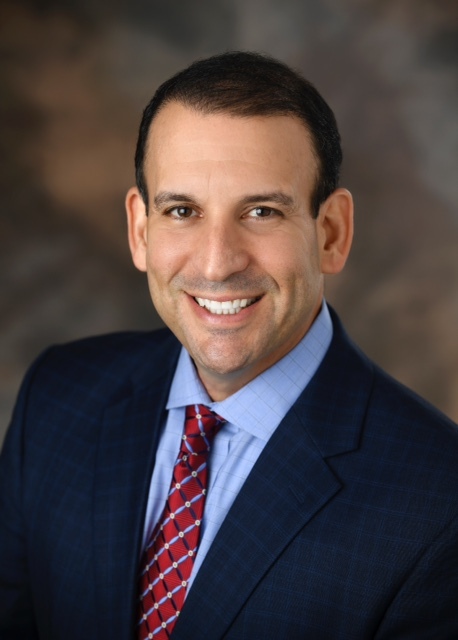 Jason also serves on the board of the Florida Hospital Cancer Institute and the Jewish Pavilion of Central Florida. Jason received his B.A. From Emory University in 1990. Jason and his wife, Ronni, have been married for 22 years and have three children: 17-year old son and daughter (twins) and an 11-year old son. Jason’s survivor story, A New Normal has been featured in the Head and Neck Cancer Alliance quarterly e-newsletter and can be read here. Cherie-Ann Nathan, MD, FACS is Professor and Chairman of Otolaryngology/Head and Neck Surgery at LSU Health Shreveport, and Director of Head and Neck Surgery and Research at the Feist-Weiller Cancer Center. In addition to a busy clinical practice, she has an active translational research program in molecular targeted therapy for head and neck cancer, and more recently in chemoprevention with nutraceuticals. Both of these programs are NIH funded and have moved forward from the bench to clinical trials. Dr. Nathan serves on the NCI task force for previously untreated locally advanced head and neck cancer and on the NCI Steering committee. Since 1996, Dr. Nathan has been actively involved in the free screenings and education for head and neck cancer. Thanks to Feist-Weiller Cancer Center’s Partners in Wellness mobile screening unit, Dr. Nathan’s program has extended free screenings from the clinic to regional hospitals and colleges, a homeless shelter and Barksdale Air Force Base. Dr. Nathan is committed to improving survival in her head and neck patients through early detection and research. Dr. Itzhak Brook is a physician who specializes in Pediatrics and Infectious Diseases. Dr. Brook earned his medical degree and completed his residency at Hebrew University, Hadassah School of Medicine, in Jerusalem, Israel, and obtained his master’s degree in pediatrics from the University of Tel Aviv in Israel. Subsequently, he completed a fellowship in adult and pediatric infectious diseases at the University of California, Los Angeles, School of Medicine. He served in the Medical Corps of the US Navy for 27 years. He is currently a Professor of Pediatrics at Georgetown University Washington, D.C. and is a world expert in infections caused by anaerobic bacteria and head and neck infections. He has delivered numerous lectures all over the world and has done extensive research on anaerobic and respiratory tract infections, anthrax, and infections following exposure to ionizing radiation. 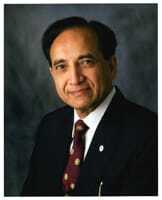 He is the author of six medical textbooks, 96 medical book chapters, and over 700 scientific publications. Dr. Brook was diagnosed with throat cancer in 2006 and received radiation therapy. Two years later he had his larynx removed and currently speaks with a tracheoesophageal prosthesis. He currently lectures about his experiences as a patient with neck cancer. He is the author of the book: My Voice: a physician’s Personal Experience with Throat Cancer and The Laryngectomee Guide. 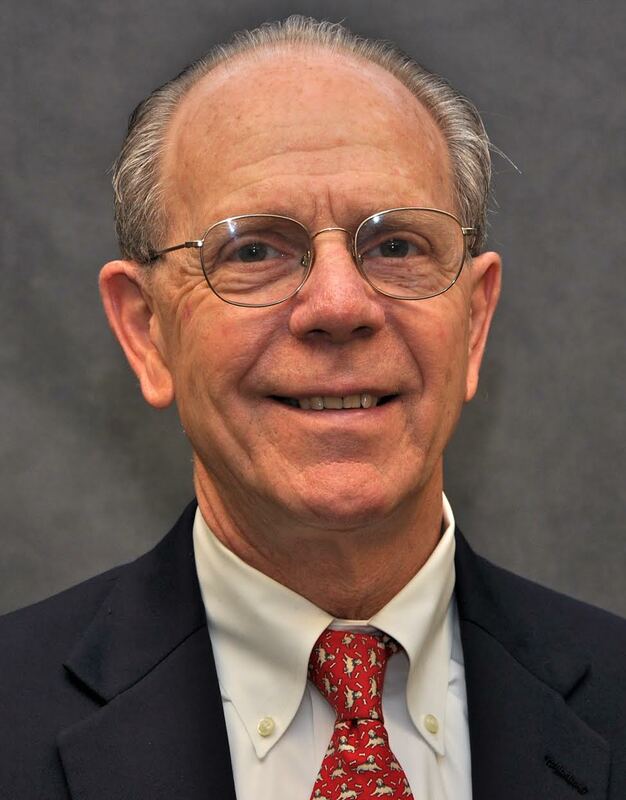 Dr. Brook is the recipient of the 2012 J. Conley Medical Ethics Lectureship Award by the American Academy of Otolaryngology-Head and Neck Surgery. 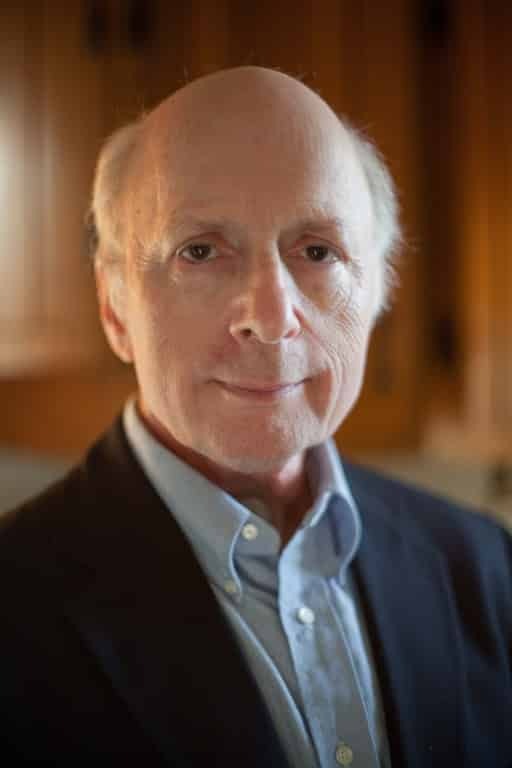 Ezra Cohen, MD, an internationally renowned translational researcher, has been acknowledged for his contribution to the National Cancer Institute Task Force on PI3 Kinase/AKT/mTOR Targeting. A physician-scientist, Dr. Cohen led an independently funded laboratory interested in mechanisms of action of novel therapeutics. He has made major contributions to targeted therapy. His recent National Institutes of Health-funded work in the study of epidermal growth factor receptor inhibitors in head and neck cancer has contributed to the understanding of the biology of this critical signaling network, integration of these agents into standard of care, and definition of mechanisms to overcome resistance. He was recently appointed as chair of the NCI Head and Neck Cancer Steering Committee that oversees NCI-funded clinical research (including all NCI Cooperative Group trials) in this disease. Dr. Cohen is Associate Director for Translational Science and team leader in Head and Neck Oncology as well as the Solid Tumor Therapeutics research program. He brings his expertise and preeminent reputation in head and neck cancer research and patient care to solid tumor therapeutics. Among other roles, he chairs the Protocol Review and Monitoring Committee (PRMC) and serves as a member of the Cancer Council, C3 steering committee, and the cancer center’s Executive Committee. Dr. Cohen is editor-in-chief of Oral Oncology, the highest impact specialty journal in head and neck cancer, and has chaired the most recent two Multidisciplinary Head and Neck Cancer Symposia—the largest international meeting of its kind—sponsored by the American Society for Radiation Oncology, the American Society of Clinical Oncology and the American Head and Neck Society. He has been the principal investigator on multiple studies of novel agents in head and neck cancer and other solid tumors in all phases of development including chemoprevention, phase I, II, and III trials. Dr. Cohen has authored more than 120 papers and has presented his research at national and international meetings. 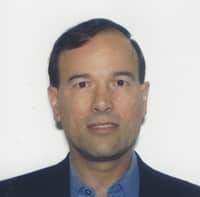 In addition, he is Chair of the Career Development Subcommittee of the American Society of Clinical Oncology and has served as a grant reviewer for the NIH, American Association for Cancer Research, American Society of Clinical Oncology, and the Ontario Institute for Cancer Research. Dr. Cohen completed residencies in Family Medicine at the University of Toronto and in Internal Medicine at Albert Einstein College of Medicine. He completed a Hematology/Oncology fellowship at the University of Chicago where he was named chief fellow. Prior to his arrival in San Diego, Dr. Cohen was Co-Director of the Head and Neck Cancer Program, Associate Director for Education and Program Director for the Hematology/Oncology Fellowship at the University of Chicago Comprehensive Cancer Center. A dedicated educator, Dr. Cohen also mentored and developed young faculty in his program. Mr. Colabuono brings finance, investment, transaction, operational and drug development expertise to Decheng, as well as a passion to find a cure for cancer and bring life-saving drugs to patients. Prior to joining Decheng, Peter held several operational roles, including business and corporate development, sales & marketing and company startups. As an Associate at Frazier Healthcare Ventures, he led the investment and company formation for Silvergate Pharmaceuticals, a pediatric rare disease company that to date has launched four internally developed and proprietary products. 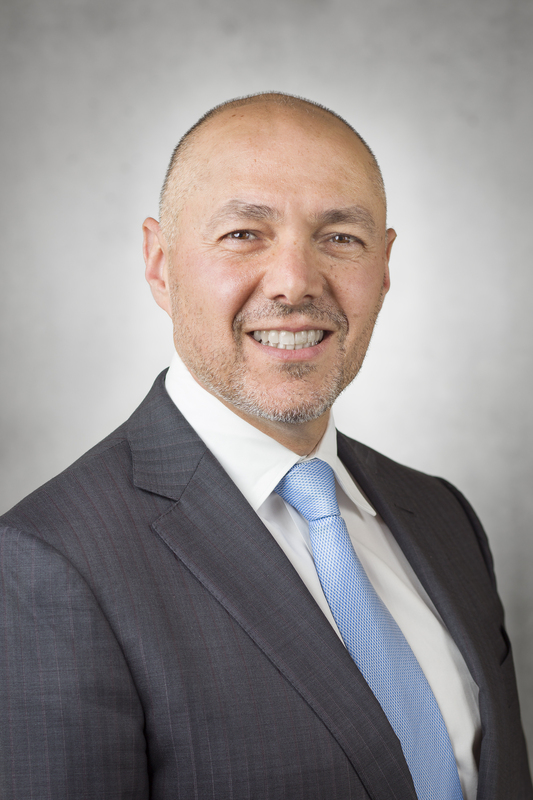 As Vice President of Business Development & Managed Care and a member of the Operations Committee, Mr. Colabuono played an essential role for the success of Silvergate. At Frazier, he was involved in and served as a board observer for Calistoga Pharmaceuticals (acquired by Gilead), VentiRx (acquired by Celgene), Alnara Pharma (acquired by Eli Lilly) and Oceana Therapeutics (acquired by Salix), as well as several of the firm’s public investments. Prior to Frazier, he served in the Morgan Stanley and Cowen Healthcare Investment Banking groups. Peter currently serves as a board member and leads the operations of Ariagen. He also is a board observer for AADi Bioscience. Mr. Colabuono holds a B.A. in Molecular Biology and Biochemistry from Dartmouth College, is an inventor and author on issued patents and journal articles, and is active with the Head & Neck Cancer Alliance. Dr. Epstein graduated from Dentistry in 1976 from the University of Saskatchewan in Saskatoon, Saskatchewan, Canada. He received a certificate in Oral Medicine and Masters’ of Science Degree in Dentistry from the University of Washington in Seattle, Washington, USA, in 1979. He is a Fellow of the College of Dental Surgeons of Canada in Oral Medicine/Oral Pathology and a Fellow of the Royal College of Surgeons of Edinburgh. He is a Diplomat of the American Board of Oral Medicine and was an examiner and President of the Board of Oral Medicine. He was Professor in the Department of Oral Medicine and Diagnostic Sciences, and Director of the Interdisciplinary Program in Oral Cancer Biology, Prevention and Treatment at the Chicago Cancer Center, College of Medicine, Adjunct Professor in the Department of Otolaryngology and Head and Surgery of the University of Illinois at Chicago and on staff at Rush Medical Center and Advocate Illinois Masonic Hospital in Chicago. Prior to that, he was Professor of Oral Medicine and Director of the Graduate Program in Oral Medicine, and the DECOD (Dental Care for the Disabled) Program, at the University of Washington, Seattle, WA. He was on the medical/dental staff of the British Columbia Cancer Agency; and Head of the Department of Dentistry at Vancouver Hospital and Health Sciences Centre; as well as on staff at other teaching hospitals in Vancouver, British Columbia, and a Clinical Professor in the Faculty of Dentistry at the University of British Columbia. He is a Lecturer in the Department of Oral Medicine, Eastman Dental Institute for Oral Health Care Sciences, University of London, London, U.K.. He conducts a private referral practice in Oral Medicine. Dr. Epstein has published in the area of oncology, infectious disease, facial pain and general areas of Oral Medicine, with more than five hundred and fifty contributions to the literature in the form of papers, abstracts, text books, and book chapters. 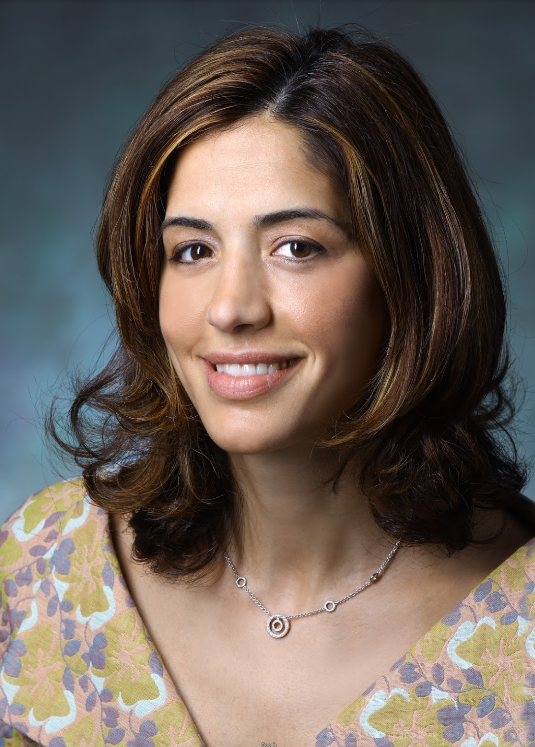 Dr. Fakhry earned her medical degree at Johns Hopkins University, where she also completed her internship, residency in Otolaryngology-Head and Neck Surgery and fellowship in Head and Neck Oncologic Surgery. Dr. Fakhry serves as Associate Professor in the Department of Otolaryngology Head and Neck Surgery at Johns Hopkins University. She also has appointments in the Johns Hopkins Sidney Kimmel Cancer Center Department of Oncology and the Johns Hopkins Bloomberg School of Public Health Department of Epidemiology. 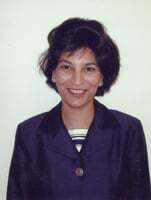 Her clinical and research interests include determining the prognostic significance of human papillomavirus in head and neck cancers, understanding the changing landscape of head and neck cancer, oral HPV natural history, and innovative mechanisms for the screening and early discovery of oropharyngeal cancers. She serves as Associate editor for Oral Oncology, science advisory board member for Oral Cancer Foundation, as well as various peer review activities. Quynh-Thu Le, MD received her medical school and radiation oncology training at University of California, San Francisco. In 1997, she joined Stanford, where she holds the Katharine Dexter McCormick & Stanley Memorial Professorship and is Chair of the Radiation Oncology Department. Her research focuses on translating laboratory findings to the clinic and vice versa in head and neck cancer (HNC), specifically in tumor hypoxia, Galectin-1, and salivary gland stem cells. Clinically, she has led multicenter phase II and III clinical trials, testing the addition of novel drugs as radiosensitizer or radioprotector with chemoradiotherapy in HNC. She has received grant support from ASCO, ASTRO as well as R01 and R21 grants from the NIH. She was inducted into the Fellowship of the American College of Radiology (FACR), the American Society of Therapeutic Radiology and Oncology (FASTRO) and the Institute of Medicine/National Academy of Medicine (IOM/NAM). She was also honored with the Caltech Distinguished Alumni Award in 2015. 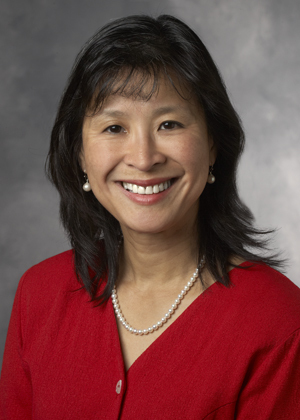 Administratively, she is the Co-Director of the Radiation Biology Program at the Stanford Cancer Institute, Chair of the NRG Head and Neck Disease Site Committee, ARS President-elect and a member of ASTRO Nominating Committee. She also serves on many other national committees and as a reviewer for several cancer related journals. Originally from Boston, Massachusetts, Roser received a Bachelor of Arts degree from Middlebury College in Vermont. He went on to earn both a dental degree and medical degree from Harvard University, and trained in oral and maxillofacial surgery at Massachusetts General Hospital. Currently Roser serves as the Delos Hill Professor of Oral and Maxillofacial Surgery, and Chief of the Division of Oral and Maxillofacial Surgery at Emory University School of Medicine. He is also a Diplomat of the American Board of Oral and Maxillofacial Surgery and Fellow of the American College of Surgeons. Roser’s clinical and research interests include reconstructive maxillofacial surgery. Professor Jatin P. Shah graduated from the Medical College of MS University in Baroda, India, and received his training in Surgical Oncology and Head and Neck Surgery at Memorial Sloan Kettering Cancer Center. He is Professor of Surgery, at the Weil Medical College of Cornell University, and Chief of the Head and Neck Service, Leader of the Head and Neck Disease Management Team, and holds The Elliott W. Strong Chair in Head and Neck Oncology at Memorial Sloan-Kettering Cancer Center in New York City. Dr Shah is a national and international leader in the field of head and neck surgery, having served as President of The New York Cancer Society, The New York Head and Neck Society, The Society of Head and Neck Surgeons, The North American Skull Base Society and the International Academy of Oral Oncology. In 1986 he founded the International Federation of Head and Neck Oncologic Societies. He currently serves as Chairman of the AJCC task force on Head and Neck. He was Chairman of the Joint Council for advanced training in head and neck oncologic surgery in the USA. He was also Chairman of the 4th International Conference on Head and Neck Cancer in Toronto in 1996. He has served in varying capacities for The American Board of Surgery, and the American College of Surgeons. Professor Shah has been the recipient of numerous awards from various parts of the world, and is the recipient of honorary fellowships from The Royal College of Surgeons of Edinburgh, London and Australia. He holds Honorary PhD degrees from the Catholic University of Louvain, in Belgium and the University of Athens, in Greece, and an honorary DSc from King George Medical University in India. He is recipient of the Blokhin Gold medal, the highest Honor in Oncology in Russia, and is recipient of the “Ellis Island Medal of Honor”, for his contributions to the United States as an ethnic migrant. He has been elected as an honorary member of several head and neck societies in Europe, Asia, Australia, Africa and Latin America. He has been continuously listed in the “Best Doctors in America” directories for over past two decades. He serves on the Editorial and Review Boards of 18 scientific journals and has published over 500 peer-reviewed articles, 50 book chapters and 8 books. His textbook of Head and Neck Surgery and Oncology won First Prize from The British Medical Association and The Royal Society of Medicine and was awarded the George Davey Howells Prize from the University of London, for the best published book in otolaryngology in the preceding five years. He is a much sought after speaker who has delivered over 1200 scientific presentations including, 67 eponymous lectures and keynote addresses, and visiting professorships in the United States, Canada, United Kingdom, Scotland, Sweden, Belgium, Germany, Italy, Spain, Poland, Russia,Croatia, Turkey, Egypt, South Africa, India, China, Korea, Japan, Hong Kong, Taiwan, Singapore, Philippines, Australia, Argentina, Brazil, Chile, Peru, Ecuador, Venezuela, Panama, and Mexico. In recognition of his outstanding contributions, and World Leadership in Head and Neck Surgery, Memorial Sloan Kettering Cancer Center, has established the “Jatin Shah Chair in Head and Neck Surgery and Oncology”, the International Federation of Head and Neck Oncologic Societies has established “The Jatin Shah Lecture”, at its world congresses, and the American Head and Neck Society has established the “Jatin Shah Symposium” at its annual meeting. Dr. Yarbrough is professor & chief of otolaryngology at the Yale School of Medicine. He also directs the head and neck cancer program at Smilow Cancer Hospital and co-directs the molecular virology research program for Yale Cancer Center. 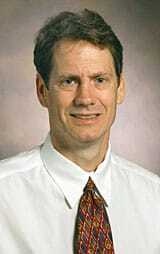 Before taking leadership roles at Yale, Dr. Yarbrough was an Ingram Professor of Cancer Research and co-leader of the thoracic and head and neck program at the Vanderbilt Ingram Cancer Center where he also served as director of the Barry Baker Laboratory for Head and Neck Oncology at Vanderbilt University. His research concentrates on the identification of tumor suppressors in head and neck cancers on understanding tumor growth, and on personalizing therapy for patients with head and neck cancer. He also focuses on the association between viruses and the development of cancer, particularly the link between the human papillomavirus and head and neck cancers. Dr. Yarbrough was a Morehead Scholar at the University of North Carolina and completed his medical degree and residency in otolaryngology head and neck surgery at the University of North Carolina School of Medicine. 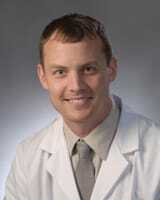 He completed a fellowship in surgical oncology at the University of North Carolina at Chapel Hill. He is a member of the American Academy of Otolaryngology, American Association for the Advancement of Science, American Association for Cancer Research, and is a Fellow of the American College of Surgeons. Dr. Yarbrough’s research has been supported by grants from foundations including the Adenoid Cystic Carcinoma Research Foundation, as well as the National Cancer Institute, and the National Institute of Dental and Craniofacial Research. Dr. Yarbrough serves or has served on the Board of the Foundation of the American Head and Neck Society; as a Senior Examiner for the American Board of Otolaryngology; as a member of the American Cancer Society Institutional Research Grant Committee; as a member of the NIDCD/NIH Board of Scientific Counselors; as the Chair of the Research committee of the American Head and Neck Society; and on the editorial board for the peer-reviewed journal Head & Neck.